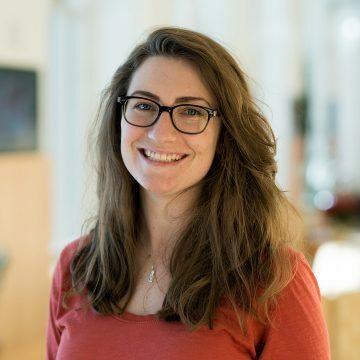 Arielle Baker, Guarini '19, a PhD candidate in the neuroscience track of the Program in Experimental and Molecular Medicine (PEMM), has received a Christine Mirzayan Science & Technology Policy Graduate Fellowship. She will be working with the Committee on Women at the National Academies of Science, Engineering, and Medicine (NASEM) to advocate for the participation and retention of women in these disciplines. PEMM, a program of Dartmouth's Guarini School of Graduate and Advanced Studies in partnership with the Geisel School of Medicine, seeks to train the next generation of scientists and physician-scientists to engage in research in genomic, proteomic, cellular, and organ-based systems for the purpose of translating this knowledge into disease treatment and prevention. The highly competitive and prestigious fellowship, awarded to less than 10 percent of an international pool of applicants, gives early career professionals an opportunity to spend 12 weeks at NASEM in Washington, DC to learn about policy and the role scientists and engineers play as policy advisors at the federal, state, or local levels. Consisting of a variety of committees and boards, NASEM collects, synthesizes, and disseminates data and information on topics of public interest, which can then be used for policy development. Baker’s interest in issues facing women in science stems from her involvement in science outreach. While visiting high schools in rural New Hampshire and Vermont, she noticed stark differences between the classrooms, which were filled with students of all genders equally excited about neuroscience, and the scientific community—departments, committees, and symposia, on the other hand, are predominately white, male faculty. This imbalance sparked her interest in transitioning from benchwork to the policy world. As a woman working in a male-dominated field, Baker says it’s important to connect with other female neuroscientists—something she has done here at Geisel. “I am both so impressed and so pleased that Arielle has been accepted to this program. To be clear, Arielle is an outstanding lab-based researcher and could have had her choice of top tier postdocs,” says Leslie Henderson, PhD, a professor of physiology and neurobiology and dean of faculty affairs at Geisel. “She chosethis path in recognition that she may have a far greater impact on science through implementation of policy than she would as an individual researcher. Beginning in January 2019, and for the following 12 weeks, Baker will receive a crash-course in policy development from experts in the field. Working with the Committee on Women in Science, Engineering, and Medicine, a primary focus of her fellowship will be the development of a report addressing the underrepresentation of women in STEM fields. The report aims to identify factors that have facilitated some disciplines to have greater representation of women, such as biology and ecology and consider how those might be applied to balance other disciplines with greater gender disparities, including computer science and engineering. Founded in 1863, NASEM provides non-partisan objective guidance for decision makers on pressing issues.